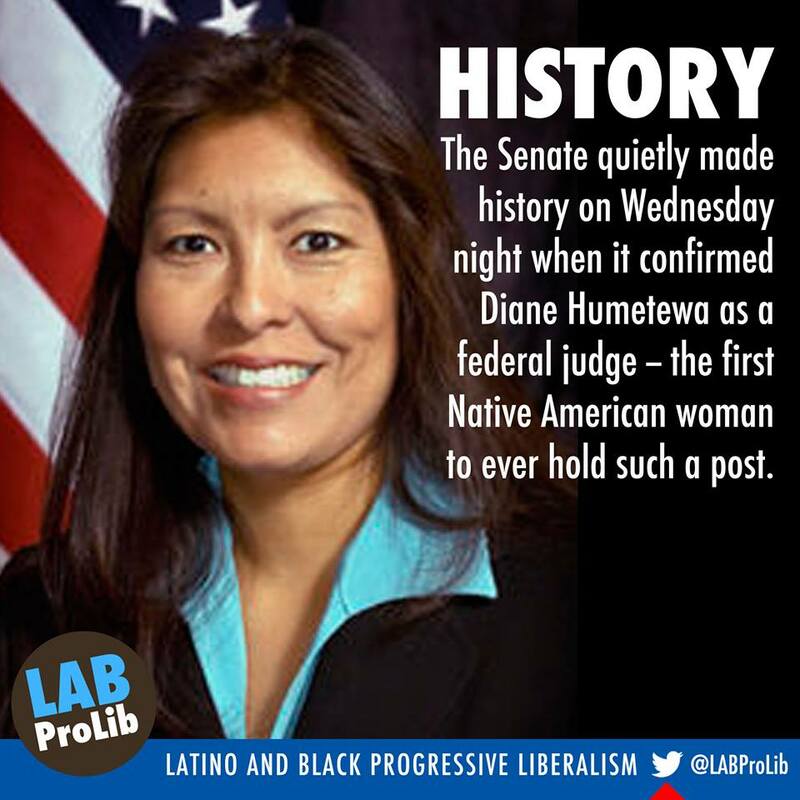 The Senate quietly made history on Wednesday night when it confirmed Diane Humetewa as a federal judge — the first Native American woman to ever hold such a post. Humetewa was confirmed 96-0 to serve on the U.S. District Court for the District of Arizona. She is a former U.S. attorney in Arizona and a member of the Hopi tribe. She is now the first active member of a Native American tribe to serve on the federal bench and only the third Native American in history to do so. On February 27, 2014 her nomination was reported out of the committee. On May 12, 2014 Senate Majority Leader Harry Reid filed for cloture on the nomination. On Wednesday May 14, 2014 the Senate voted on the motion to invoke cloture by a vote of 64-34. Later that day the Senate voted 96-0 for final confirmation. She received her judicial commission on May 16, 2014.